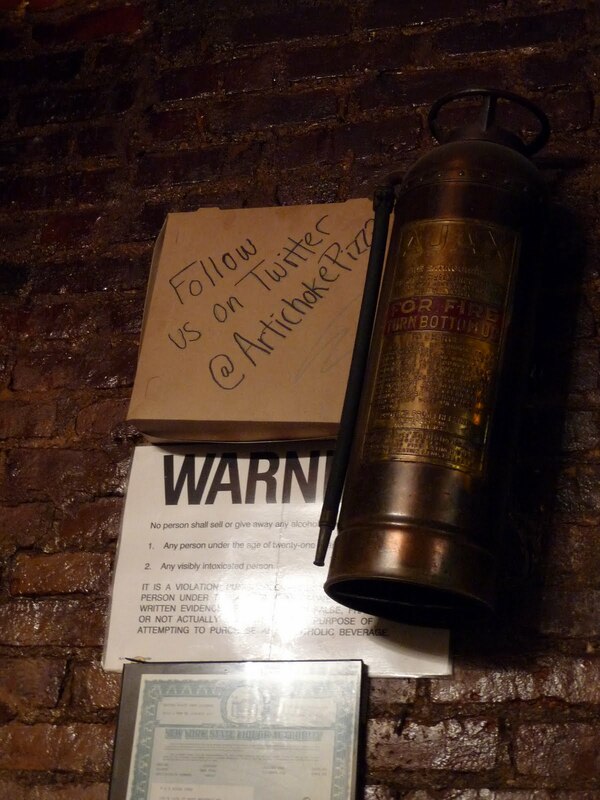 While visiting Artichoke Pizza this week, I noticed that they have really poured on the Twitter advertising since the last time I’ve been there. 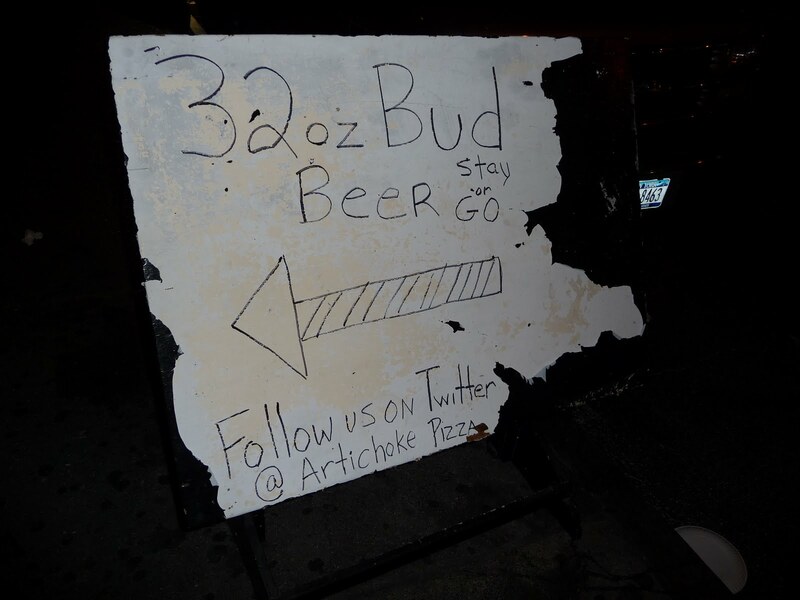 There was a beat-up white board outside the pizza shop, advertising their 32 ounce Bud beers (to stay or go – not quite sure if that’s actually legal…) along with their Twitter account, @ArtichokePizza. Inside, they had multiple pizza boxes imploring pizza-hungry customers to follow them on Twitter. Well, I must say that it worked on me! I pulled out my phone, looked them up on Twitter and followed them on the spot! I wonder if they’re now taking orders by tweet!